For something to make the rank of superfood it needs to have high phytonutrient content — which indicates there may be a health benefit when added to your diet. 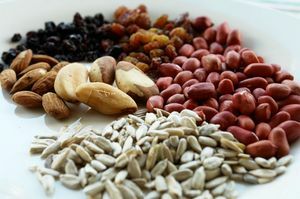 The one thing that all superfoods have in common is the fact that they are ‘real’ (unprocessed) food. Organic and unprocessed foods — including superfoods — are growing in popularity as more and more people are eating ‘real foods’ and striving to eat a healthier diet. Superfoods help you build up your resistance to disease. They also help you maintain better mental acuity and cardiovascular health. When it comes to superfood, you can bet that the 10 best foods you’re not eating are the ones that will do you the most good. Here are 7 more superfoods that you’re probably not eating. The above list includes some of the least-popular superfoods, while this list of the top 10 superfoods that most people eat are quite common and easy to include in your daily diet.